Chipotle is giving away free queso on Tuesday – but customers aren’t having it. Normally, free food inspires nothing but celebration. 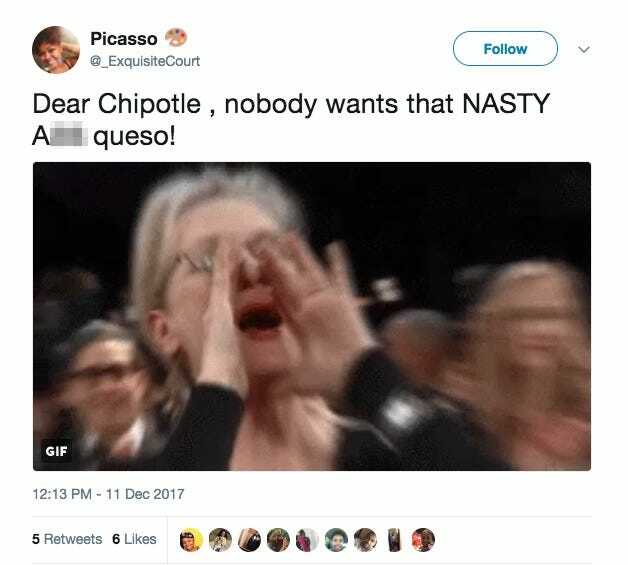 However, scrolling through social media shows that people are primarily using the deal as an opportunity to slam Chipotle’s queso. 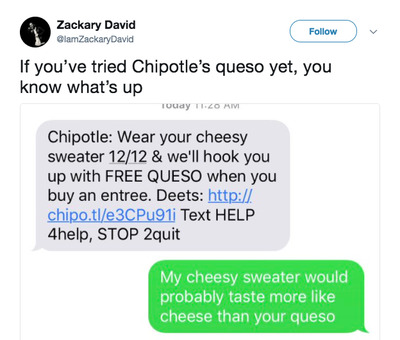 “Chipotle, I love you so much that I mentioned you in my wedding vows, but your queso is salty and oddly grainy, and I couldn’t even finish the sample cup of it I was given,” another Facebook commenter wrote. Chipotle recently rolled out a revamped recipe that fixes some of the original queso’s textural issues. 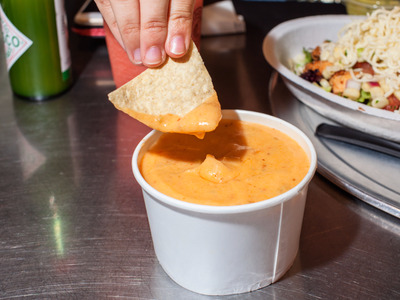 The new queso still doesn’t have the exact goopiness that makes the Tex-Mex classic so beloved, but it is a marked improvement. The free queso deal appears to be a play by the chain to convince customers to try the revamped dip. However, these customers seem unwilling to give Chipotle’s queso a second chance – even if it doesn’t cost them any money.